FACSIMILE Panasonic Multi Function Product with 2 Bin Separator. Uniqe 2 bin sparator,you can use the two trays for two different uses. Designed for network capability ,the KX-FLB882CX can be connected to your local network (LAN). 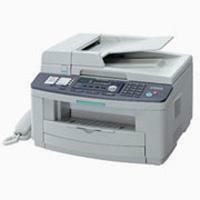 You can use it as a network printer or network scanner to enable data to be shared by all your staff. The bundled software makes it possible to send faxes directly from your desktop (PC-Fax). “Push Scan to Email no PC Required” it’s a great feature to send scanned data (color/b&w) which can be emailed as file attachments.